This entry was posted on May 24, 2018 by Impress. 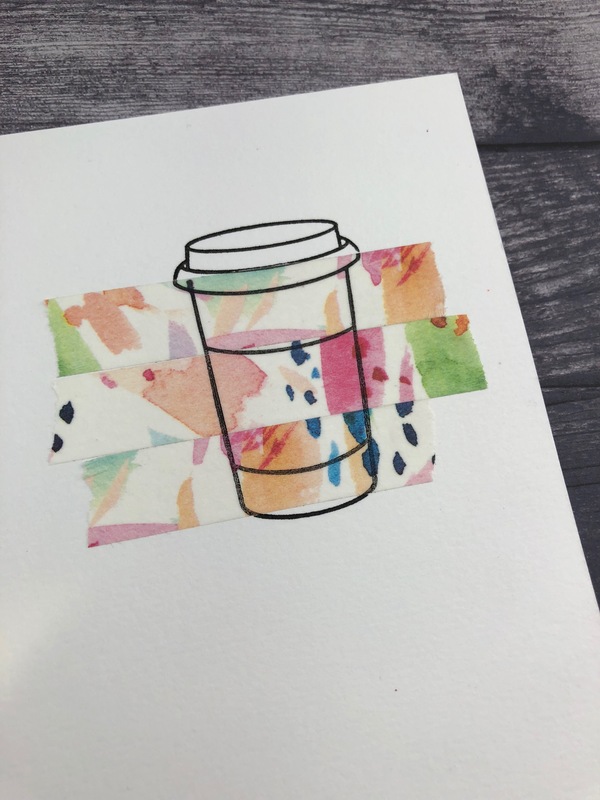 We are on the Spring/Summer Coffee Lovers Blog Hop today! We hope you enjoy our coffee card! We're from Seattle so you know we like coffee at Impress. We have so much fun with our coffee cup stamp. By changing the band on the cup, it's easy to create a fun new look each time you use it. Here we used a new modern washi tape. Start by laying a few strips of the tape down on the card. 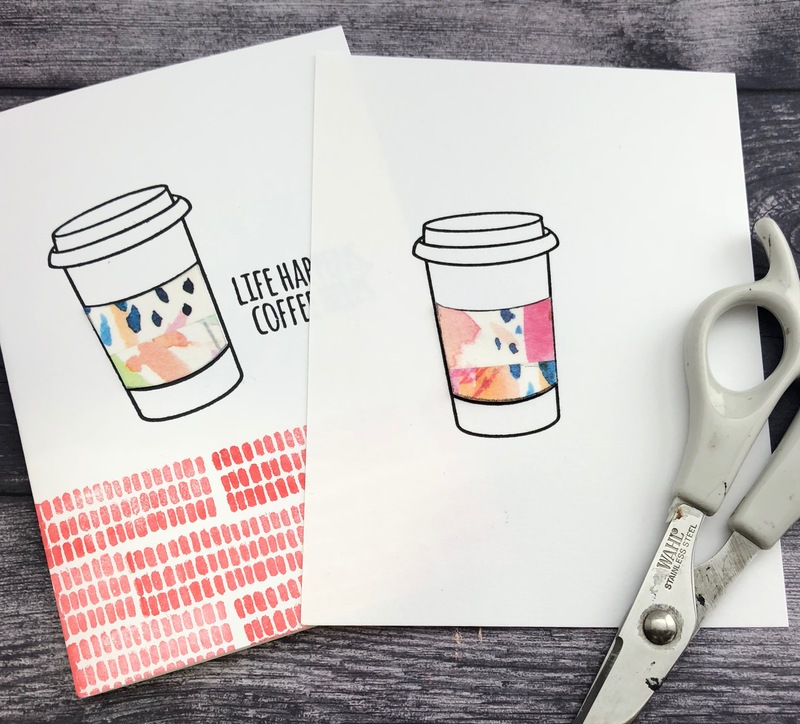 Stamp your cup over the tape and then cut out the band and attach to your card. The wonderful border on the bottom of this card is done with Flora and Fauna's texture set. We're having an online sale May 25 - 28. With coupon "summer2018" you'll save 15% off your entire order. We hope you enjoyed our project. Have fun checking out the other blogs. These are beautiful...the the addition of the washi! 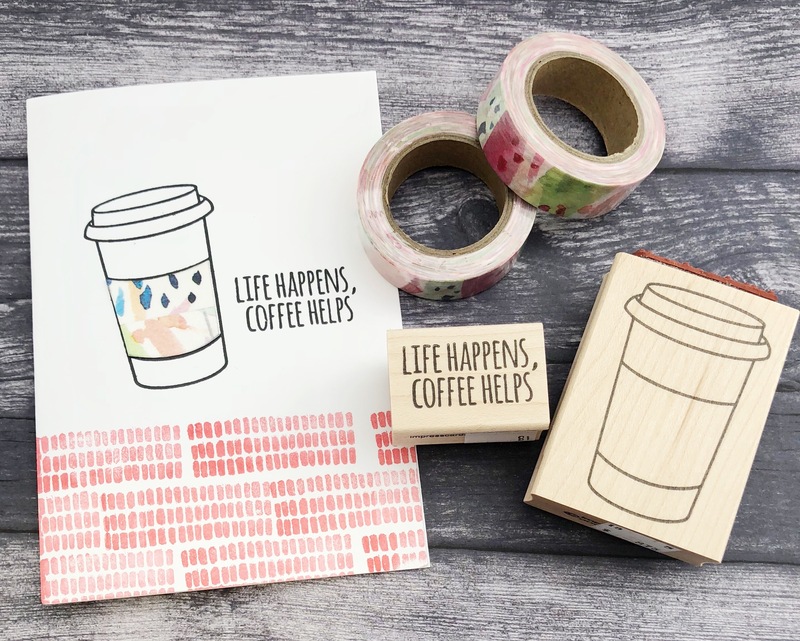 Love that beautiful Washi Tape, it looks awesome on the coffee cup! Thanks for being a Super Sponsor of the Spring & Summer Coffee Lovers Bloghop!! Clever way to use the washi! Makes for a beautiful card! That water color washi is gorgeous! Thank you for being a sponsor of the coffee hop. What a treat! Love the use of washi on the coffee cups! Fabulous card. Thanks for sponsoring the hop. Thanks for sponsoring the blog hop! love how you used your washi tape. Thanks for sharing. These are amazing! What a great idea! Love the washout tape idea! Thanks for being a super sponsor too! Cool use of the Washi to make such great cups. Thanks for being a sponsor too. Pretty washi. Great cards. Thanks for being a super sponsor. Beautiful! Love that washi tape. Love the idea using washi on the cup. SO pretty! 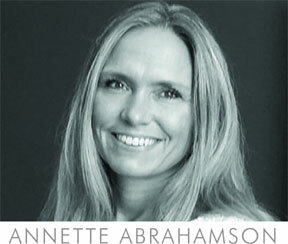 Love how you used the washi for the wrap! Thank you so much for being a Super Sponsor again and thanks for the sale! Love the colors of this fun card. 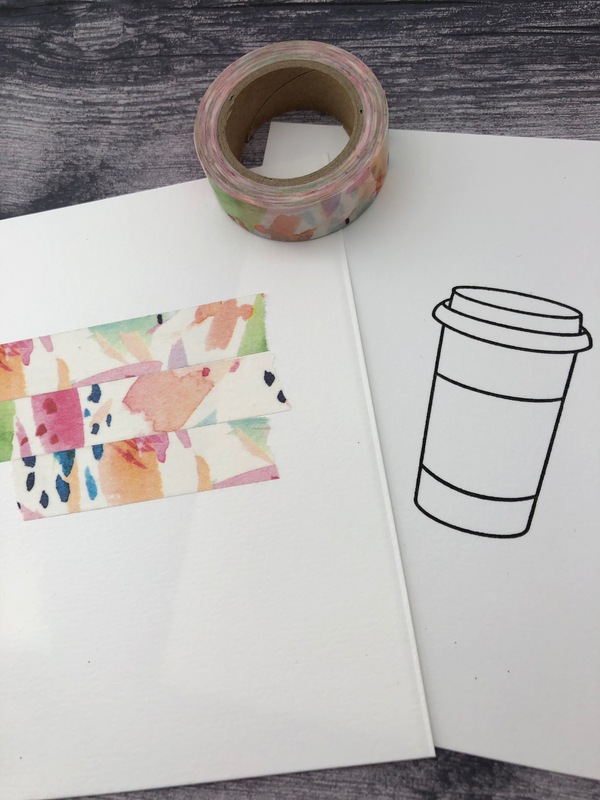 The Washi tape is so pretty and love how you made it into a great card. I love what you did with the washi! Great idea, love your card everyone know that kind of day. Thank you for super sponsoring. Lovely card! Great idea using washi tape! Thanks for being a sponsor to this fun hop! Great idea using washi tape to add color to your cup! I forget to say thanks for being a Super Sponsor!!! so cute. I like the use of washi tape. thanks for being a super sponsor. Thank you for being a sponsor to the coffee hop. Love your washi tape and great idea how to use it. Choose your own adventure . . .